AUSTIN — The first time Tommie Bates Jr. was stabbed, three years ago, he was left paralyzed in one arm. A second stabbing on July 12 took his life. In both cases, the 24-year-old former art student was attempting to help someone, his family said from their Austin home Wednesday. Bates was stabbed in his chest last week while trying to break up a fight between a friend and the friend's brother. Robert Moore, 23, had been beaten up earlier that day, said Bates' grandmother, Nickie Veal. Bates and Moore's brother went to help him, but Moore and his brother got into an altercation which led to Moore going into his home and coming out armed with "two steak knives," Veal said. 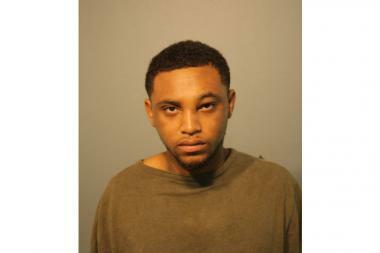 Robert Moore, 23, appeared in bond court Saturday and was charged with first-degree murder. Moore then proceeded to stab his brother and Bates, who was pronounced dead at Stroger Hospital about 4:55 a.m., less than an hour after the attack. Veal sat with Bates' mother and younger brother Wednesday — she recalled watching her grandson and his accused killer grow up together in the neighborhood, only a few blocks apart. Moore is well known as a troublemaker, she said, but she's had to forgive him. "It was cold-blooded murder," she said. But "holding bitterness is not going to bring my son back." Veal refers to Bates as her "adopted son" — she had raised him, his younger brother and their mother in the home she's lived in for 40 years. 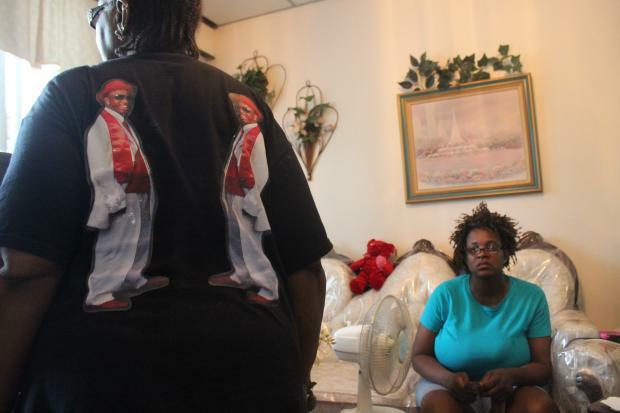 "She raised me while she was raising my kids," said her daughter, Beatrice Veal-Smith. Bates, according to his family, was the sort of guy who'd do anything to help a friend. They recalled a day in 2010 when he was on a bus and a fight broke out. Bates, 20 at the time, witnessed a man being robbed of his iPod and, according to his family, stepped in to help. After a brief tussle, Bates was stabbed. In addition to being charged for being involved in the altercation, Bates was left in critical condition and spent six weeks in a hospital, Veal said. He was also left without the use of his right arm up until the day he died. "It changed his life," Veal said. "He started being more of a home person after he was stabbed." Despite the loss of his arm, Bates was changed for the better, Veal and her daughter said. The incident kept him away from the wrong crowd, they said — the sort of crowd that eventually took his life. Charges of first-degree murder were filed against Moore Saturday, but that was little consolation for the family on Wednesday. "He's right where he needs to be," Veal-Smith said of Moore. "Now he has the time to sit back and realize what he's done. A memorial with dozens of signatures hung on the family's fence while Bates' father, Tommie Bates Sr., sat visibly despondent and soft-spoken on the front stairs. A picture of his son's accused killer was taped to the window above his head with the words, "Stab my baby in the chest." "I will miss my son," he said. "I will miss him and I love him." "I hope they give [Moore] life," he added. "I hope they give him hell up there."